NEW! 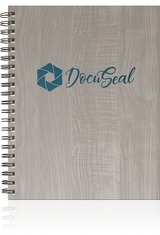 Choose from 4 sizes and 3 faux-woodgrain paper covers (Gray, Tan and Brown). Choose from wire-bound and Flex PerfectBook styles. Call for higher quantities. 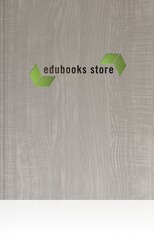 Price includes one-color foil imprint up to 16” sq. Standard turnaround 7-10 business days from proof approval. Actual pre-production sample available for $52.50 G.